Routine kitchen tasks like cooking, mixing and chopping etc, require a greater extent of labor and hard work. That is why women go for electronic appliances to relieve themselves from additional fatigue. Now a days kitchen machines have been considered as the most essential multi-tasker to assist women in chopping, whipping, grinding, kneading, blending, stirring, steaming and much more. These are those tasks that consume much time prior to cooking if women do manually, while if they do this with kitchen machines, it will be very convenient and efficient. These kitchen machines are versatile in functionality because out of baking to broiling, from slow-cooking to pressure cooking and with mixing and mincing, or anything in between them can be done effectively through these smart machines. Electronics Speed Controlling: Just place your ingredients in the bowl and let them incorporate before mixing at high speed. 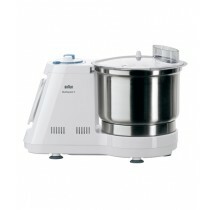 It has electronic speed control that enables you to do mixing at your desired speed. Fair Attachment Hubs: It has fair options for custom attachments to maximize its versatility and functions. Quality Motor: These machines have been made up with quality motor for longer life and functionality. Bowl and Tools: These machines are offering bowls and tools along with them to work with any recipe with durability. 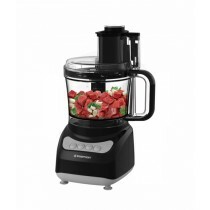 Other Attachments: It has all what you need for your food preparations, like food processor and blender. iShopping.pk is constantly presenting world class genuine brands for kitchen appliances. We have capacious assortments showcased for customers to choose from. We are offering free home delivery thoroughly to any area all across the country. If you are looking for lowest prices in Pakistan to buy kitchen machines, just browse our category and frame your choice. We are openly inviting queries from you for any kind of difficulty relating to order placement, product inquiry or for any other specifications. You can call us, email us or join us on our live chat facility we are just a single click away from you. Feel free to ask and we will guide you in your best interest.